NIS' recently released Bleach: Soul Resurreccion gets under All We Like's queer eye this week. 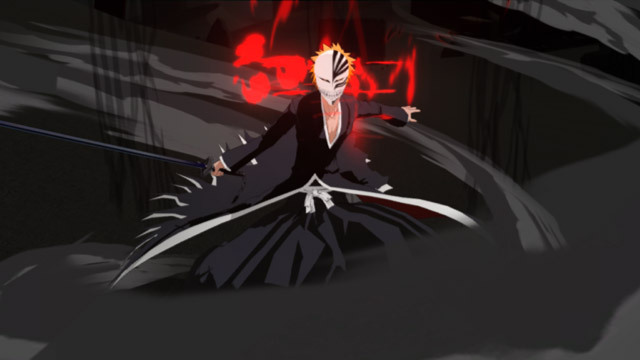 Bleach: Soul Resurreccion focuses on the story of its anime series where Ichigo Kurasaki, the main protagonist of the game, and the soul reapers battles out against an army of arrancars led by Aizen. The Soul Resurreccion is divided into 14 story chapters that goes along with several extra missions, playable with any characters you’ve unlocked. The said game is very similar to the popular game franchise of Dynasty Warrior, where players will have to face an army of enemies and kill them all by slicing or stabbing them to death with some fast and easy to learn commands. However, it was lambasted for its repetitive combat design. Bleach: Soul Resurreccion avoided these problems and made the annihilation of enemies more enjoyable. The game battle system initially looks easy as you can perform several attack combos by just pressing the square button repeatedly. But as you go further in the game, you will learn more command combinations to perform much better moves. The characters of the game have their own special attacks that can be mixed with their normal moves. It’s not the most complex battle system, but Bleach: Soul Resurreccion will give the players a lot of moves and attack styles to choose from during a combat. However, players must be aware of their enemies because they fight back especially at the higher levels of the game. Keep the guard up and dash away from dangers and throw counter attacks as possible as you can. This system facilitates the process of collecting Soul Points. Soul Points is the game’s reward system where you can use it to purchase character upgrades and to learn new abilities or techniques. The Soul Points can be obtained after you kill an enemy unit. This thing gives combat purpose, and the player are rewarded with Soul Points multiplier as they keep attacking the enemies. Bleach: Soul Resurreccion have only three background types throughout the whole story. Even if the stage layout changes, the scenery does not. This makes the game boring even it had a stylish characters and animation. The mission structure also makes the game repetitive. The game is formulaic and it just let the players to go forward, kill those annoying enemies and defeat the boss. However, extra missions offers challenging restraints to work around. But still, Bleach: Soul Resurreccion still gives the fans of the said anime series a chance to play as their favorite characters.